On Wednesday, Gail and I headed over to Bainbridge Island with our friend Cynthia for the day. 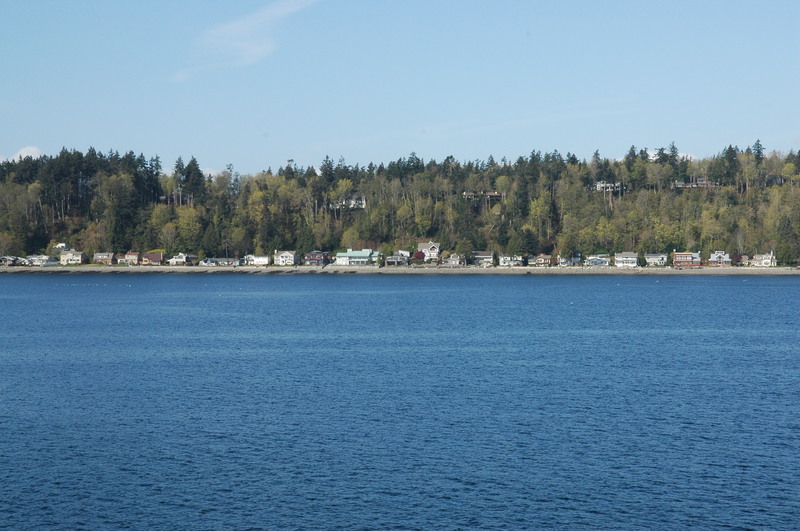 * As we approached Bainbridge, I took some photos of Rockaway Beach, a short north-south stretch of the island that faces downtown Seattle and that the ferry heads straight at before turning north and into Eagle Harbor, where it docks. One such photo is above. On the return trip, one exits Eagle Harbor, passes Rockaway Beach again, and turns east for the straight run into downtown Seattle. Once one makes that turn, the Seattle skyline appears, getting larger and larger until arrival. Below are some photos from this return trip. I could say more about our day, but mostly I want to post the photos. 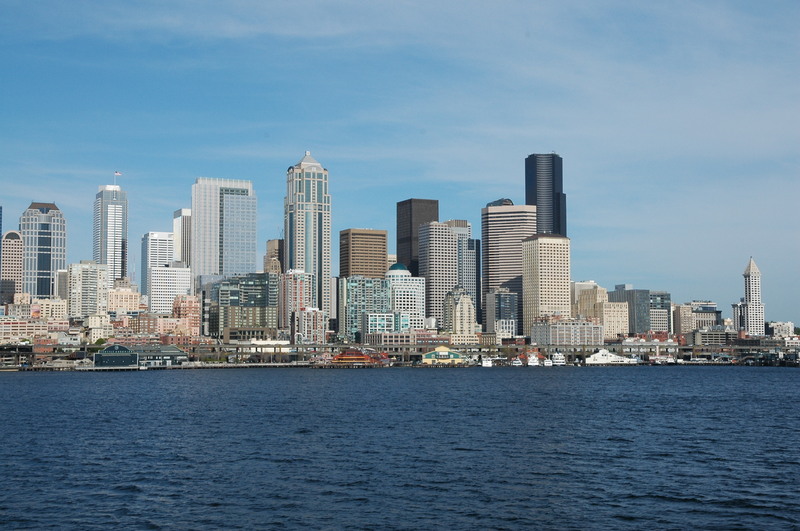 The first one below shows downtown Seattle and more, with the Space Needle on the left and Seattle’s oldest skyscraper, the Smith Tower, on the right. 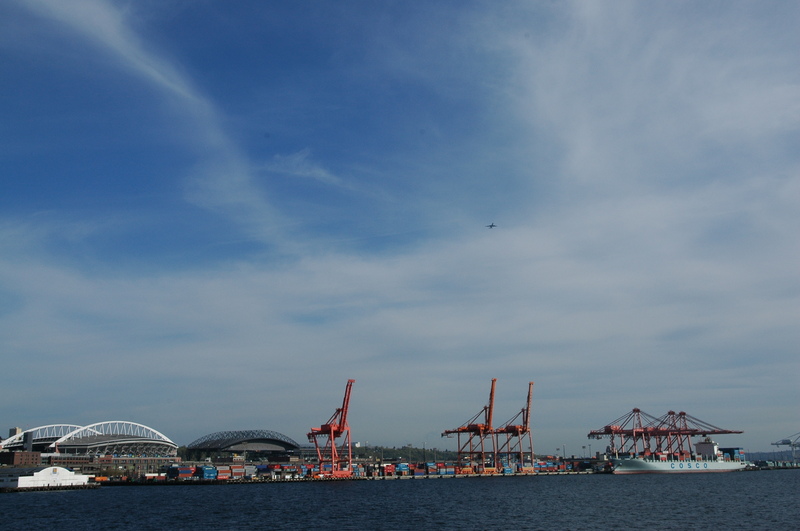 Below is a tighter shot of the Space Needle, with the Seattle Art Museum’s Olympic Sculpture Park to the left. (You can see Alexander Calder’s Eagle.) Also visible are the double towers of the Ellington, our daughter’s home. Next, as we approach the ferry terminal, we see the heart of downtown and some of the piers. And finally, we look at the two major sports stadia, just south of downtown and Pioneer Square, Qwest Field and Safeco Field, with the port nearby. 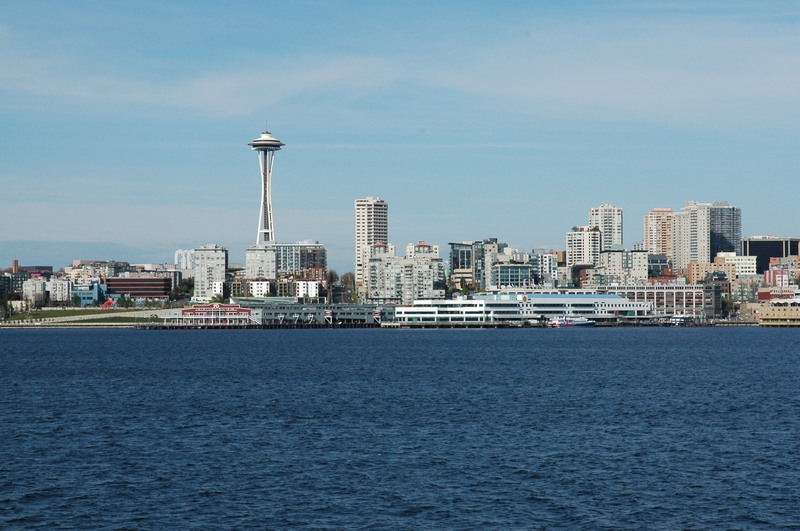 *In case you aren’t familiar with these parts, Bainbridge is straight west of Seattle across Puget Sound and can be reached from downtown in 35 minutes thanks to Washington State Ferries. 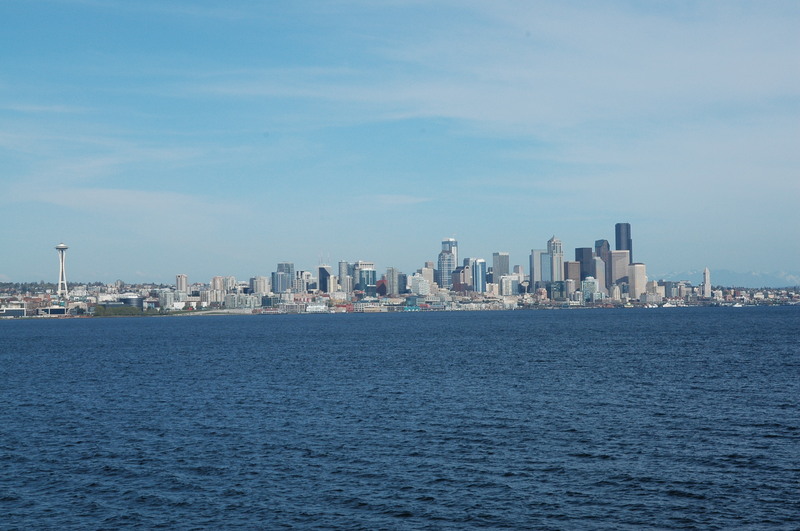 Among the many islands in Puget Sound, it is the closest and most accessible to Seattle. One can also get on and off the island via a bridge that connects the north side to the Kitsap Peninsula, though this doesn’t get you any closer to Seattle. From the other side of the bridge, you would have to take yet another ferry to get back to the Seattle side of the sound or else drive way south to the Tacoma Narrows Bridge and way north again.